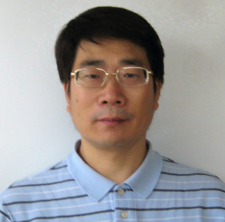 Qiming Li is a founder and CEO of Oliden Technology, LLC. Qiming has extensive engineering and management experience in advanced MWD/LWD hardware and interpretation product development. He was responsible for the commercialization of some of the key technologies in the industry. Established in 2011, Oliden Technology is a technology startup company performing research and development on drilling and logging technologies in the area of oil and gas exploration. The company aims at developing and producing advanced technologies that can help operators to find and produce hydrocarbons in challenging environments with the increased efficiency and safety while reducing cost and impact to the environment. This breadth and depth of expertise in the company brings a clear understanding of the application and business needs of our customers. Our goal is to become a leading independent LWD/MWD equipment provider in medium to high tier LWD/MWD equipment for independent service providers, through differentiation in technology and quality and reduction in overall cost of services.